Can you be an entrepreneur the right way, at the right time? “Burn the Business Plan” explains that the importance of a business plan is only one of the many misconceptions about starting a company. Another is the myth of the kid genius—that all entrepreneurs are young software prodigies. In fact, the average entrepreneur is thirty-nine years old and has worked in corporate America for at least a decade. 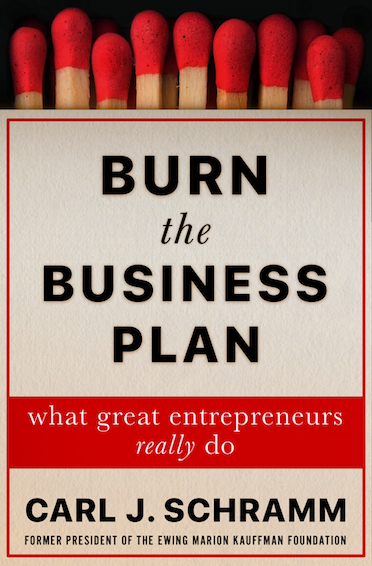 Burn the Business Plan tells stories of successful entrepreneurs in a variety of fields. It shows how knowledge, passion, determination, and a willingness to experiment and innovate are vastly more important than financial skill. Carl J Schramm, whom The Economist has called “the evangelist of entrepreneurship,” is the former president of the Ewing Marion Kauffman Foundation, the world’s largest philanthropy dedicated to promoting entrepreneurship. He is the co-creator of Global Entrepreneurship Week, which is now observed in 170 countries; he has served in major corporate roles, is a former entrepreneur, and is presently University Professor at Syracuse University. As of 2010 over half of the world’s population lives in cities. It is estimated that by 2050 this number will exceed 65 percent. This video series is a prelude for a broad consideration of various aspects of city life, paying particular attention to governmental theory, urban planning and architecture, economics, and civic morality.